This week our Friday Mashup comes from Holly and its all about birthdays and brads. That's right, create a birthday card, a project that uses brads or mash it up and make a birthday card that has brads on it! 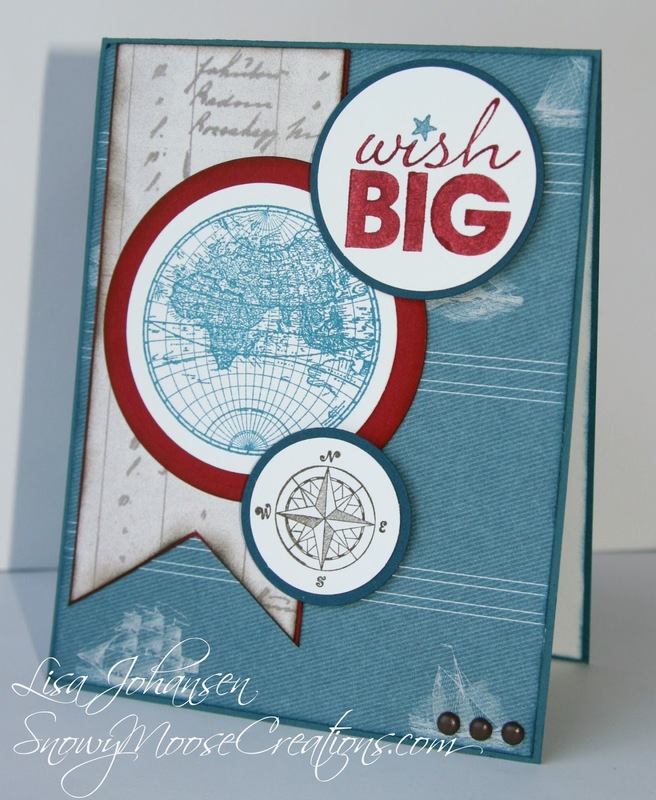 I mashed it up and made a masculine birthday card using The Open Sea set. I just love this set, its one of my favorites. I added my brads down in the bottom right. 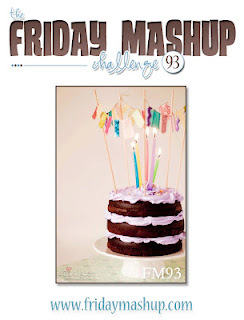 Head on over to The Friday Mashup blog to see what the rest of the design team has for you and then play along with us, we'd love to have you! Very cute! I love that set!! Great masculine card! I love all your circles and that big banner. The brads look super cute down in the corner like that. What great colors and design for a masculine card! Fabulous card for a guy Lisa! 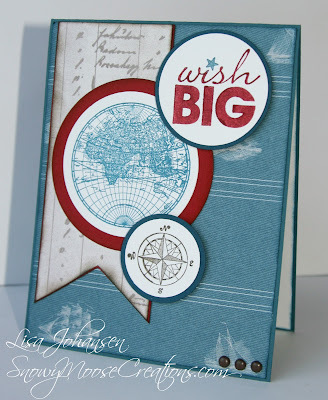 Love how you've used this stamp set with the dsp and the layout is fab! Gorgeous masculine card Lisa! Love how you combined the DSP with the stamp set . The brads look perfect in that corner. Great masculine birthday card lisa.. I love that flags you created and the set you used. What a wonderful masculine birthday card! I love the little blue star in the greeting and how you’ve layered all your circles. Fabulous!